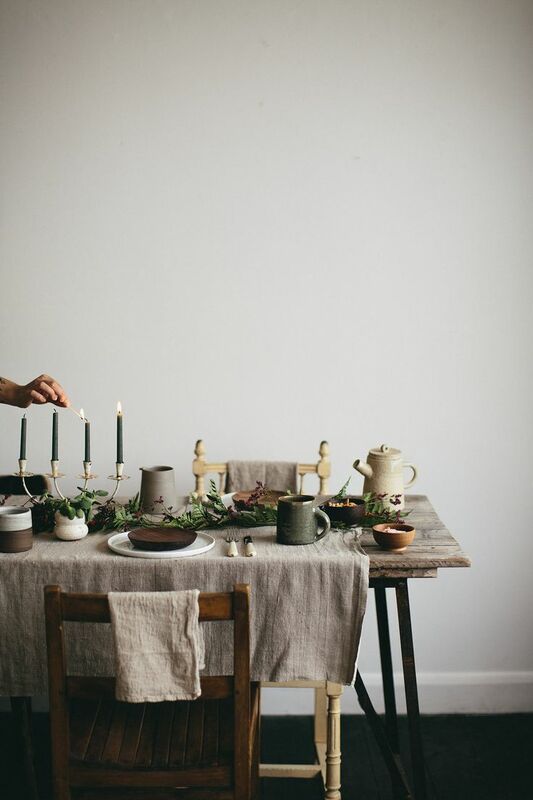 But, the fun part of hosting - or at least what we find fun, is styling the tablescape. Of course, sometimes we need to balance beauty with function, but sometimes we have the space to go all out on the tabletop! Don’t feel the need to go out and buy new things just for your holiday table - there is plenty that you can shop from around your home! 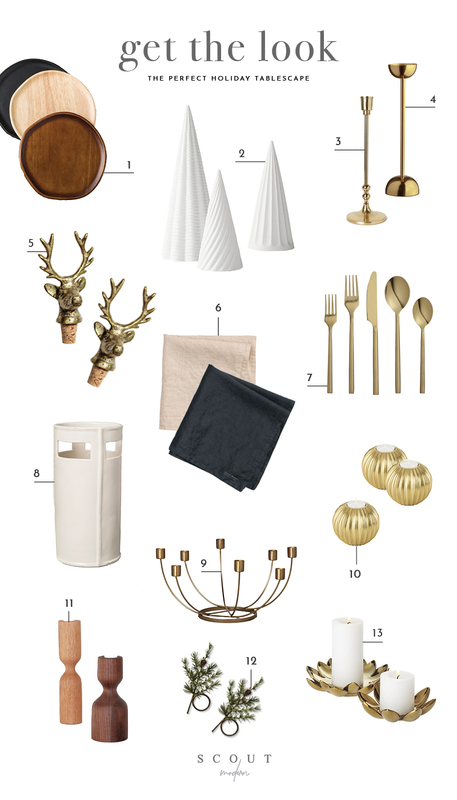 Our favorite go-to’s are brass candlesticks, tealight candles for ambiance, fresh greenery or garland (you may even be able to clip it from a tree outside!) 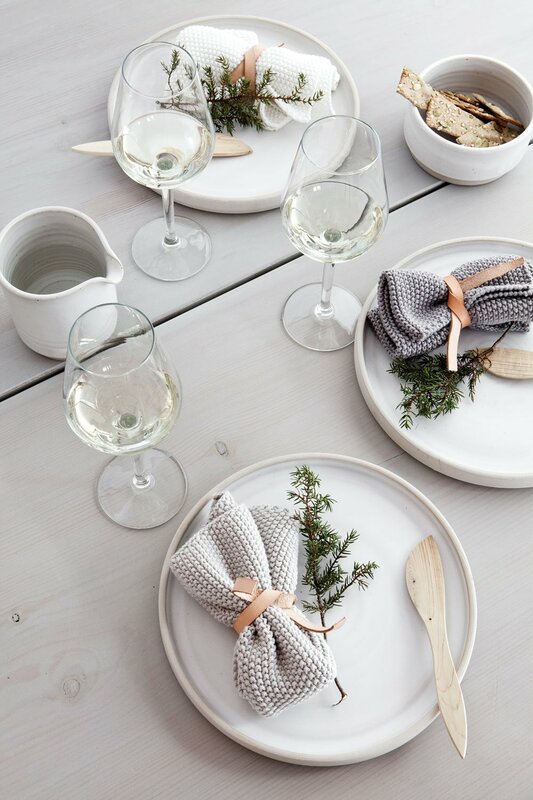 and of course, beautiful dishes and layered linens. If you don’t have any of those things, we do have a handy little round up at the bottom to get you on your way - or even just jog your memory of whats in your sideboard. 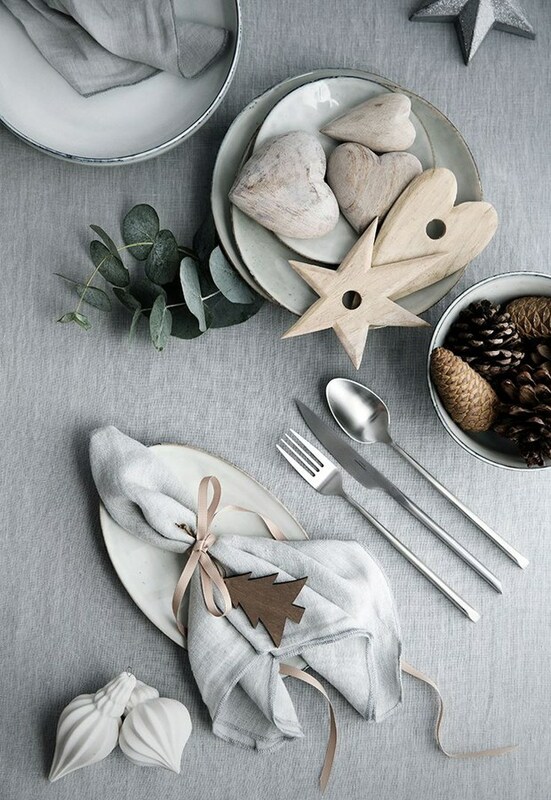 Use items of varying heights along the table to create depth and dimension. Think tall taper candles and holders & low tealight candle holders to add some sparkle. Add some greenery! Fresh is best, but we understand that if you’re hosting for more than one evening or day, sometimes the faux stuff is much more reasonable. There are some amazing artificial options out there and we have some linked down below. Add a personal touch! Whether it’s name cards, or family heirloom decor pieces, people love to reminisce and feel at home as they sit at your table. And finally, if you are mixing chairs to make sure everyone has a seat at the table, try creating some kind of pattern as you mix them in. This will make it look more intentional and styled. This goes for dishes as well, if you are hosting a large dinner and need to mix a few sets. 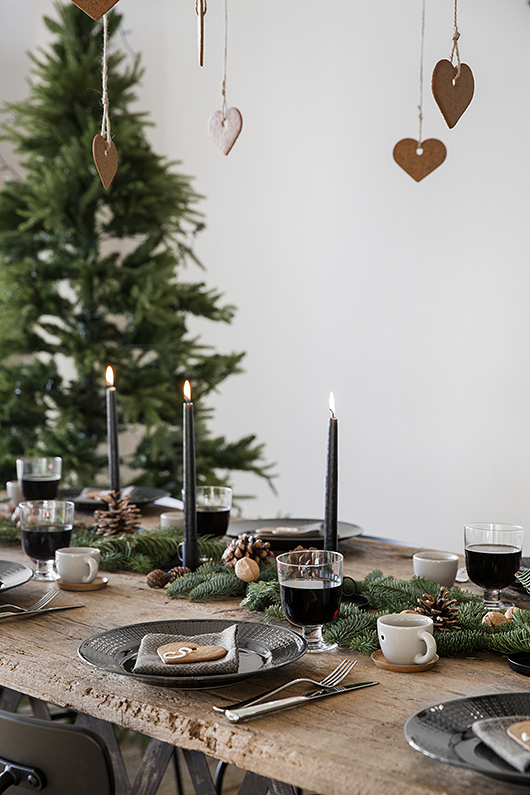 And, since we’re on the topic, here are some of our favorite looks to top your table this year, for Christmas.